I hope you are enjoying the early signs of Spring and taking advantage of the warmer weather to ramp-up outdoor activities. 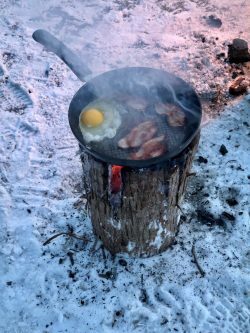 I also hope you were able to continue Scouting through the colder months: our Pack had winter camp at Blue Springs Scout Reserve where we cooked early-morning breakfast in the snow on Swedish Torches – check out the photo! We’re now in the midst of Kub Kars and planning some new challenges, including rappelling. In a Scout Scene message last year I’d asked for youth, Scouters and supporters to consider applying for open positions on the Board of Governors to bring both Scouting knowledge and specific skills such as finance and property management. We received a great response for the Nominating Committee (made up of youth and Scouters from across Canada) to review, and at the recent Annual General Meeting five new Board members were elected. We had talked at the Board about the value of diversity as we think about the future of Scouting: diverse points of view make for better decisions, something reinforced by the academic research. Our bylaws already call for geographic diversity on the Board (representation from Canada’s regions and provinces) and for age diversity (at least two Youth members, reflecting our mission to develop well-rounded youth); we’ve also long had representation from people new to Scouting. At the AGM this diversity was reinforced with all five new Board members being women, marking the first time in our organization’s history that the Board had an equal split of male and female members. (Among our youth members, the percentage of female members is now approaching 30%, including my daughters). I’m confident we have a great team to continue to tackle the challenges and opportunities we face. Also at the AGM, the Board reconfirmed the priorities for Scouts Canada in 2019: i) growing our membership base; ii) unlocking the value of our property assets; and iii) engaging with parents thorough a strong brand. Good progress is being made on these as the organization uses a multipronged approach to address this issue, but membership numbers continue to be a concern. 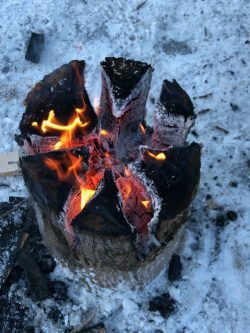 I’d encourage all Groups to continue to think about how they can add members – both during the Spring and Summer and at the start of the new Scouting year in September. 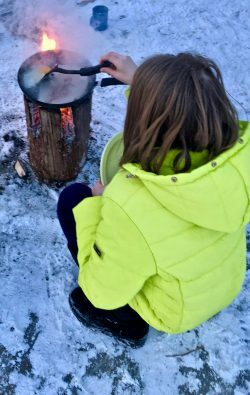 It’s important to remember that so long as only a very small percentage of Canadian youth have the opportunity to participate in Scouting, growth must remain a primary focus of the Movement. The Scouting program has incredible value and it’s critical that we enable more youth to benefit. Currently, we are limiting their ability to do so. In early March the new bylaw, policies and procedures (BPP) were rolled-out, following significant work and consultation with local Scouters. Over 1,700 people participated in the exercise over 18 months, and I think the new documents do a very good job of reflecting how our organization needs to operate, with plain language and a lot of simplification. In addition to input during the development phase, quick feedback was received from Scouters on the timing of some new pieces – notably First Aid and Swimming Safety. As a result, those implementation dates have been put back to September to allow Groups to prepare. I’m glad Scouters spoke up and I’m glad the leadership team was able to react quickly and adjust. A big thank you to everyone involved. Looking forward, almost 800 members from Scouts Canada and L’Association des Scouts du Canada will join over 30,000 Scouts from 150+ countries at the World Jamboree in the summer, co-hosted Canada, Mexico and the US. This promises to be a fantastic event and I can’t wait to hear about the experiences.